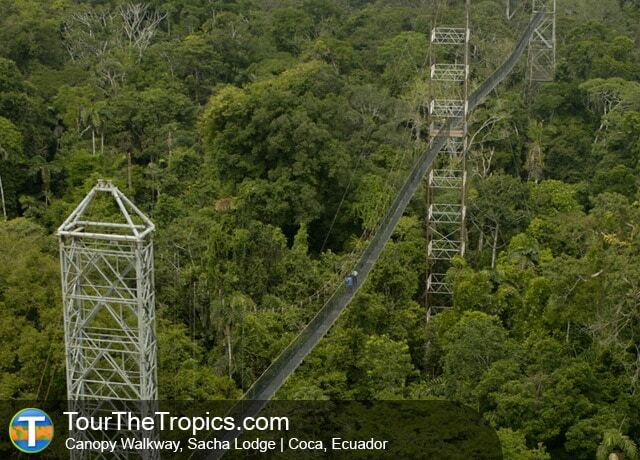 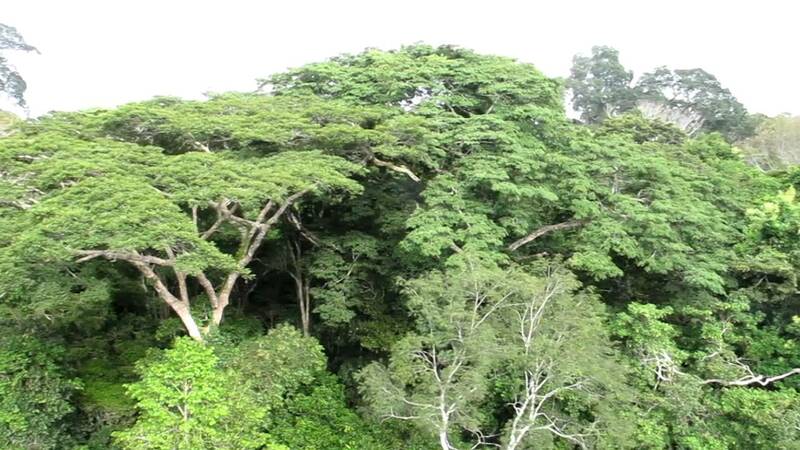 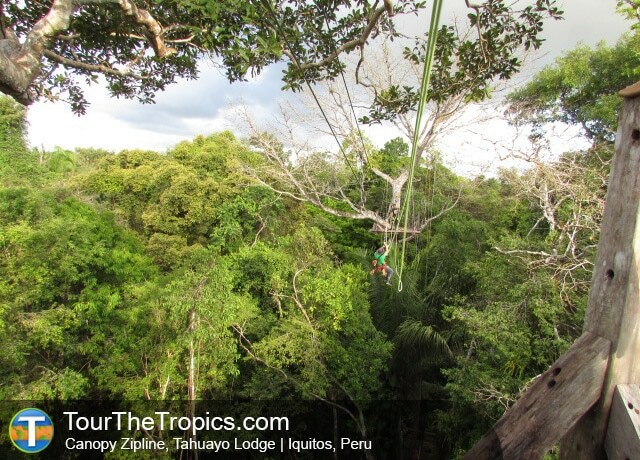 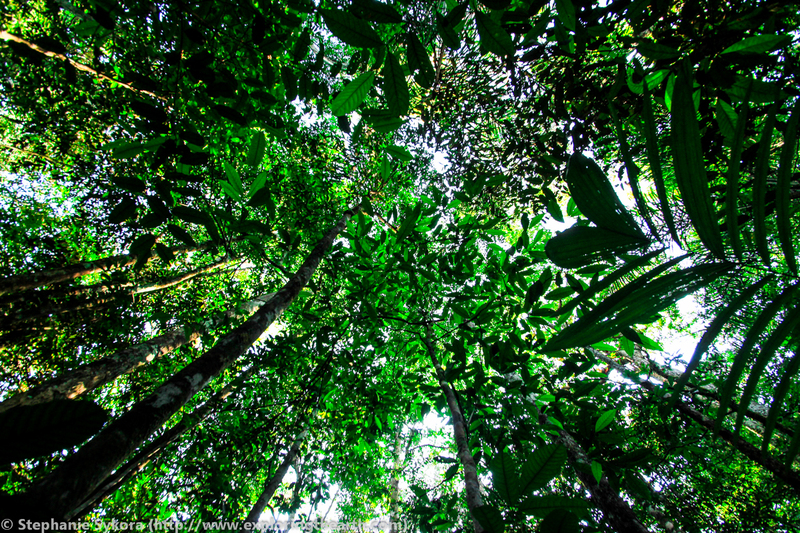 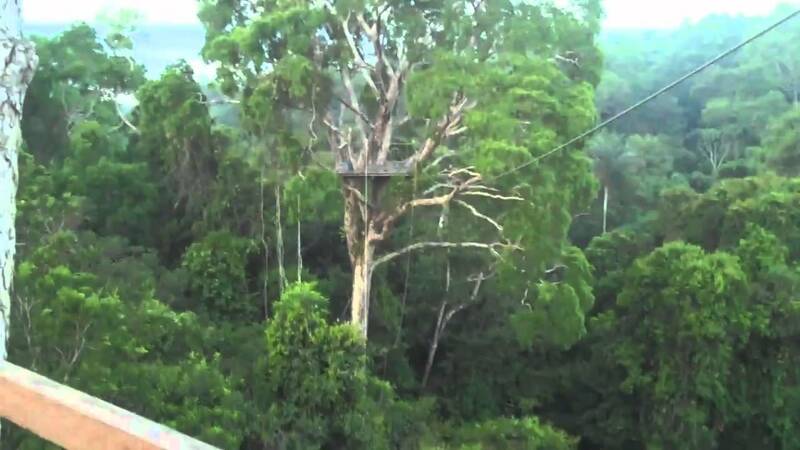 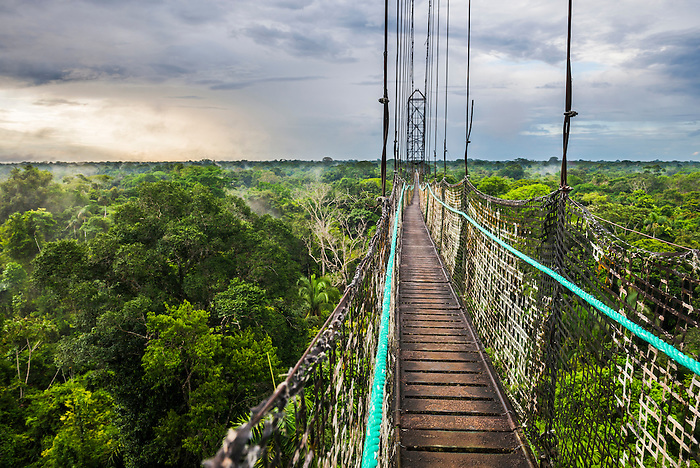 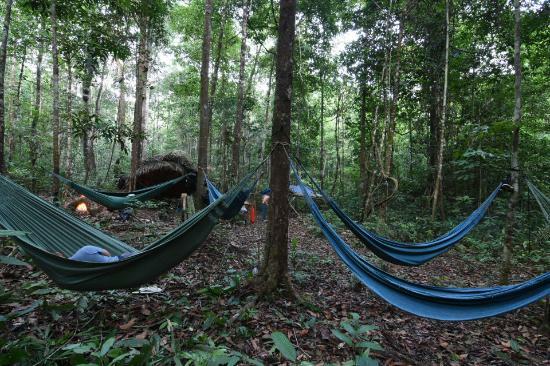 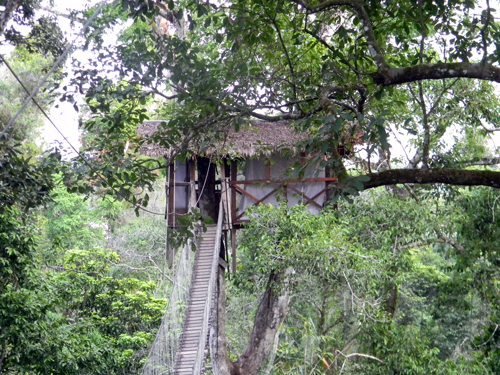 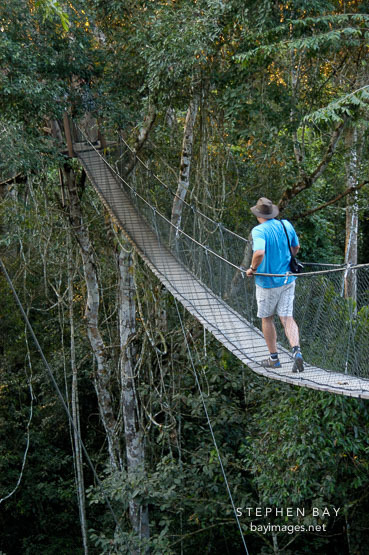 Rising up over the canopy of tropical rainforest in the Ecuadorian Amazon. 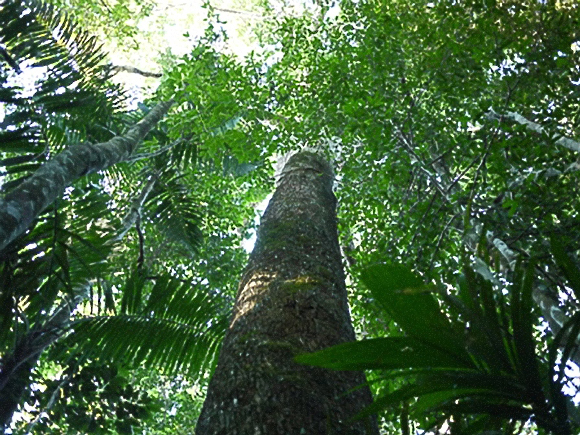 There are many tree species with different crown shapes and colours. 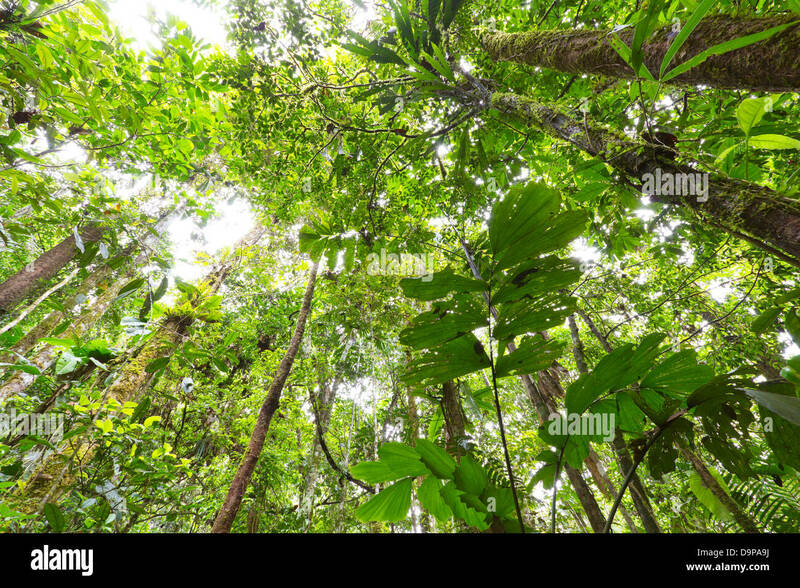 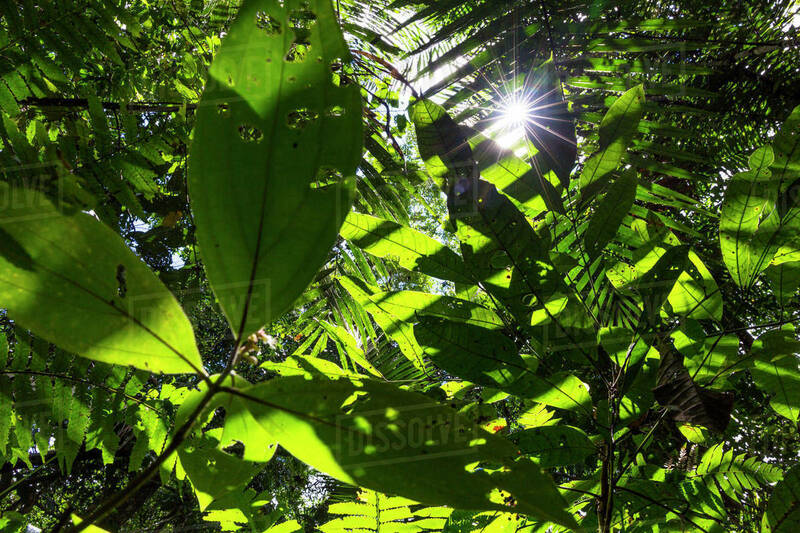 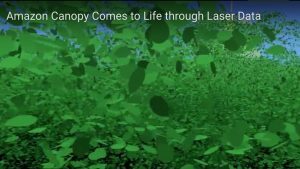 View up into canopy with sun rays shining through the leaves lowland rainforest Panguana Reserve Huanuco province Amazon basin Peru.